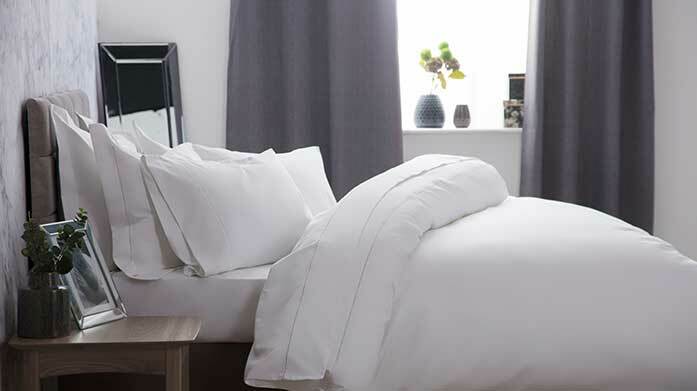 At the forefront of high-quality and design, Belledorm has taken the bedlinen world by storm. Over their 30 years tenure in the industry, Belledorm have steadily grown and distinguished themselves as one of the largest suppliers of exceptional home linens in the UK. Following specific guidelines set by their Quality Control team, products are manufactured to the highest of standards with innovation, distinct branding and competitive prices a priority. Based in Manchester, the heart of UK textiles, Belledorm operates from Kearsley Mill where staff efficiently and accurately oversee the arrival of carefully designed and sourced products from around the world including Turkey, Pakistan, China and Egypt. By continually designing and evolving their diverse portfolio of product, Belledorm have managed to effortlessly stay at the forefront of design and quality, withholding their reputation as one of the leading luxury linen manufacturers in the UK. Fashionable designs combined with the highest quality fabrics ensure that Belledorm continue to dominate and satisfy their loyal customer base year upon year. So be safe in the knowledge that you can rely on Belledorm and BrandAlley for sumptuously soft, hotel quality linens at a fraction of the RRP. Choose from luxuriously high thread counts, decadent Egyptian cotton and beautifully patterned linens for superior sleep night after night.